The first figure to emerge as a maqam singer and composer in the modern sense was Rahmat Allah Shiltegh (1798-1872), of Turkmen origin. Many of his compositions have been preserved. The ones to follow him were Ahmad Zaydan (1820-1912), Antun Dayi (1861-1936), Rachid Al-Qundarchi (1887 – 1945), Salman Moshe (1880-1955), Yousouf Huraish (1889-1975), Najim Al-Sheikhli (1893-1938), Mohammed Al-Qubanchi (1900–1989), Salim Shibbeth (1908- ? ), Hassan Chewke (1912-1968), Sadiqa Al-Mulaya (1901 to 68) and Hassan Daoud (years of lifespan not known to author). A landmark event for Iraqi maqam was the international conference on Arabic music held in Cairo in 1932. There the legendary Mohammed Al-Qubanchi and his ensemble performed. Qubanchi is reputed for having ‘modernised’ maqam, choosing for a style emphasising on the expression and pronunciation of sung text. It is noteworthy that six out of seven of his accompanying musicians were Jewish-Iraqis. 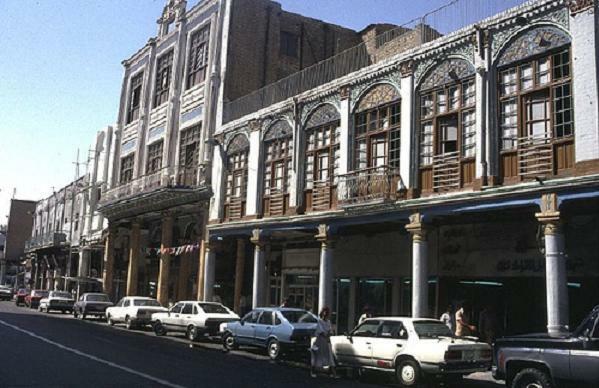 The 1950s brought a surge in Iraq’s prosperity, and a vibrant urban life to Baghdad. 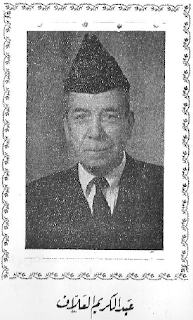 A student of Mohammed Al-Qubanchi, Nathem Al-Ghazali (1910–1963) put his mark on the Iraqi music of this period, focusing on the light side of the maqam by mainly singing its pestehs. While apparently most of the Iraqi music is too Iraqi for the rest of the Arabic world, Nathem Al-Ghazali succeeded in becoming a household name all over the Arab world. Nathem Al-Ghazaly’s wife Selima Murad (1902–1974), of Jewish origin, not known outside Iraq, except for the Iraqi immigrants in Israel, is still Iraq’s most popular female singer of the past. Another popular student of Al-Qubanchi was Yousouf Omar (1918–1986). Outside an occasional success like Mohammed Al-Qubanchi’s performance in Cairo and Nathem Al-Ghazali, who in the past was the only Iraqi maqam singer to gain a wide popularity in the Arabic world Iraqi (with the pestehs and other lighter repertoire), maqam never became familiar in the general Arab world. This may be due to geographical conditions, the specific dialects of Arab spoken in Iraq (also preserved by the country’s relative isolation), its closeness to un-Arab musical traditions and the fact that Kurdish, Persian and Turkish were quite commonly spoken in Iraq, plus the fact that Egypt’s music and films dominated the Arab culture of the 20th century. 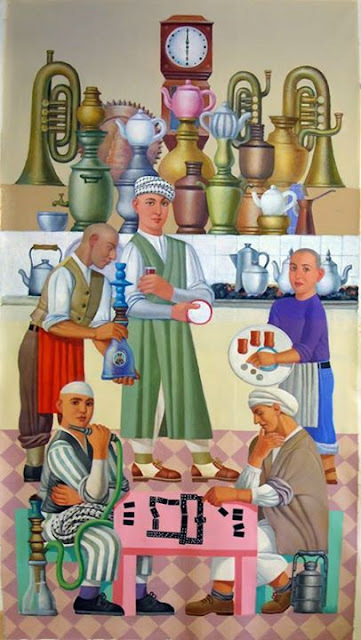 Modernity and globalisation tend to press traditions like maqams to margins, but even in the nineties the names of Mohammed Al-Qubanchi, Yousouf Omar, Selima Murad and Nathem Al-Ghazali were still household names given the amounts of cassettes of their recordings that were found in common homes, including those of the lower middle classes. But since then first the continuation of the economic boycott and after that the recent war and the ensuing current strife have taken their toll on the practice of maqam. 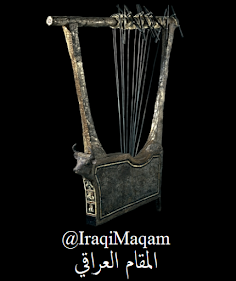 However, the Iraqi maqam meanwhile started a new, although in principle alienated life outside the country. Munir Bashir (1930-1997) was a popular Iraqi performer and composer who adopted maqams for solo ‘ūd. This repertoire gained popularity outside Iraq as well, before and after he emigrated in 1993. But outside Iraqi the popularity was limited to Western world music stages and festivals in the Arabic world. With the growing interest in ‘world music’ and its commercialisation, a certain generation of maqam singers from Iraq enjoyed global success in this niche of the music industry. Hussein Al-Athami, Farida Mohammed Ali and the Iraqi Maqam Ensemble are noteworthy. Hussein Al-Athami (b. 1952) lives in Amman, while Farida Mohammed Ali (b. 1963) and her ensemble settled in Holland. Hamid Al-Saadi, a student of Yousouf Omar, lived in the United Kingdom for a while. Recently he was rumoured to have migrated back to Iraq. The young American singer and musicologist of Iraqi origin Amir El-Saffar, educated as a jazz trumpet player, is now taking up the tradition. Maybe his scholarly knowledge of the maqam, in combination with his training as a jazz musician, will inject new life into the Iraqi maqam. Of course artists like Hussein Al-Athami and Farida Mohammed Ali and the Iraqi Maqam Ensemble enjoy a warm welcome among the Iraqi diaspora. But even then it is difficult to assess whether this will remain a living tradition and not mostly nostalgia. There are pockets of continued living practice in Iraq, but the situation is of course difficult. Recently a festival on maqam organised by the Ministry of Culture in Baghdad was held in the Northern Kurdish town of Suleymania instead (which had political reasons as well). So inside Iraq maybe there is not enough practice possible for a viable life of Maqam, while outside the maqam has become object of festival culture, risking to become a festival-friendly artifact, and on the other hand risking becoming an object of musicological museology instead of a living art. Through these circumstances the actual development of the maqam has mostly come to a standstill. -- Scheherazade Hassan, A space of inclusiveness: The case of the art music of Iraq, in: International Journal of Contemporary Iraqi Studies, 1:1, 2008. Intellect Journals, London. -- Scheherazade Hassan, Tradition et modernisme: le cas de la musique au Proche-Orient, in: Musique et anthropologie. L'Homme: Revue française d'anthropologie. 171:172, 2004, pp. 353-369. Paris. -- Scheherazade Hassan, Al mosika al 'arabiya al klassikiyya wa makanataha fil-mujtama' al 'arabi al mu'asir, Classical Arabic Music: its position in Contemporary Arab Society, in: Archeology of Literature: Tracing the Old in the New, Alif: Journal of Comparative Poetics. 24, 2004, pp. 27-57. American University of Cairo.